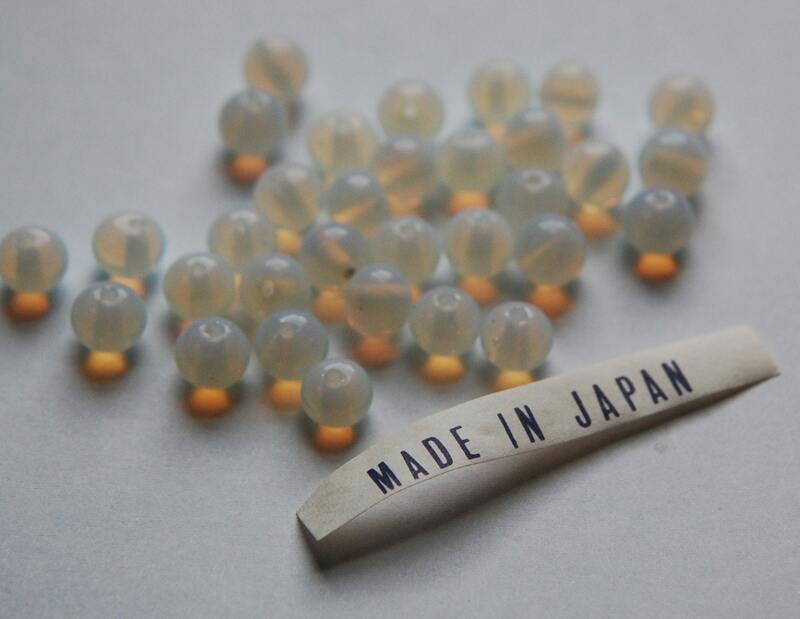 These are vintage glass beads that were made in Japan. 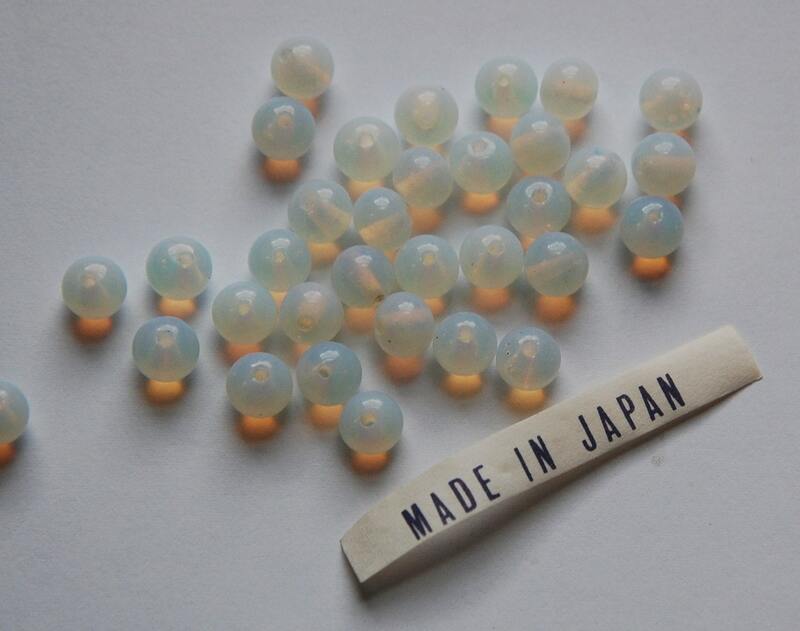 They are white opal colored. These measure 6mm. You will receive 10 pieces. Very pretty. Thank you for your great service! Hello!! Thank you very much. Absolutely beautiful! They arrived quickly as well. Thank you so much!